Much-adored, multiple-award-winning, all-singing, all-dancing, writer-speaker-educator-photographer Louie Palu made this great broadsheet recently. It is extremely well executed, if you'll pardon the expression. 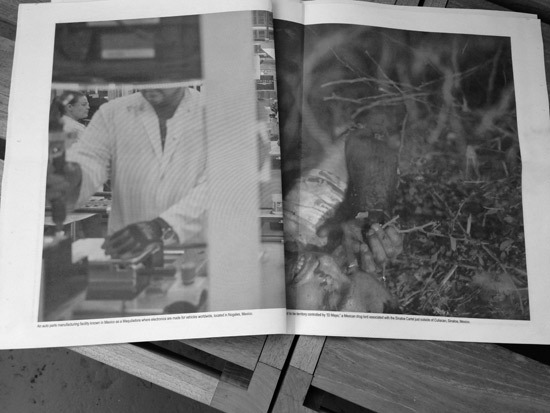 "This is a concept newspaper; it has no headlines, competing articles or advertising. 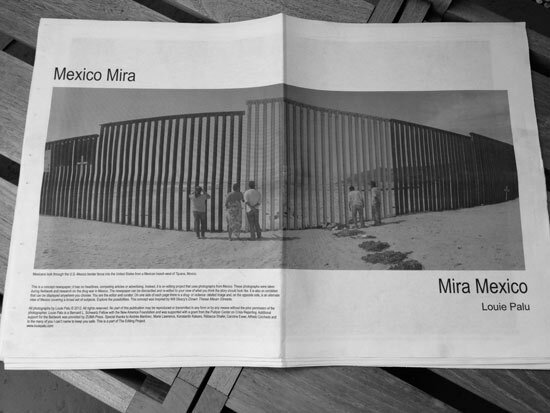 Instead, it is an editing project that uses photographs from Mexico. 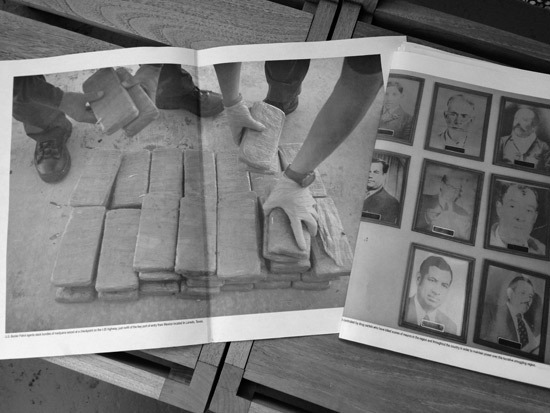 These photographs were taken during fieldwork and research on the drug war in Mexico. The newspaper can be dismantled and reedited to your view of what you thin the story should look like. It is also an exhibition that can be displayed anywhere you choose, You are the editor and curator. 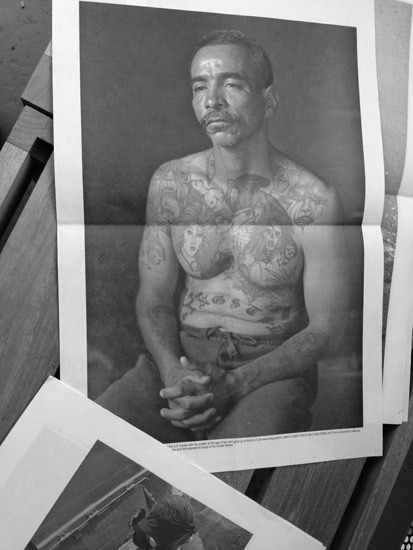 On one side of each page there is a drug- or violence-related image and, on the opposite side, is an alternative view of Mexico covering a broad set of subjects. Explore the possibilities. This concept was inspired by Will Steacy's 'Down These Mean Streets.'"